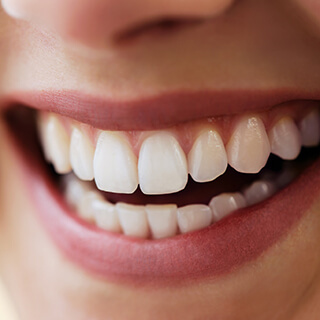 Although Dr. Mitchell is capable of treating any restorative or cosmetic concerns patients may face over the course of their lives, our team would prefer to help you avoid tooth damage and pain before it happens. That’s where our preventive services really shine, including comprehensive checkups, refreshing cleanings, and other vital options that help smiles of all ages stay strong and well-protected. We see patients of all ages at our Fayetteville and East Point locations – contact us today to schedule a visit! We love new patients! 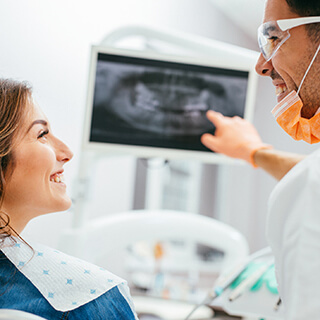 Even patients who diligently brush and floss every day occasionally fall victim to dental problems that lurk under the surface of their smiles. That’s why regular visits to a trusted dentist like Dr. Mitchell is essential to your ongoing oral health. 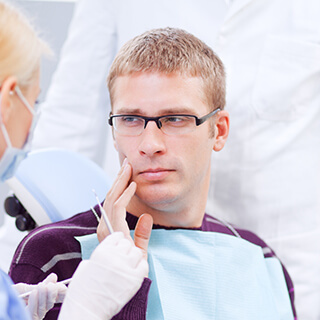 Our team provides checkups and cleanings that are comfortable, educational, and comprehensive. If you regularly experience strong headaches, jaw discomfort, or worn-down teeth, please let Dr. Mitchell know. It’s possible that you may be experiencing bruxism (teeth grinding/clenching) or TMJ disorders, which both can cause severe and even debilitating chronic pain if left untreated. 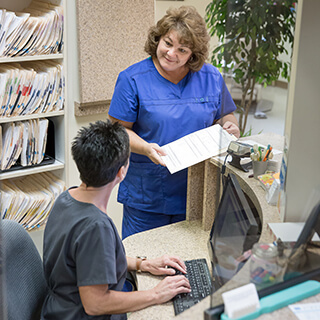 Our team will carefully evaluate your condition, make a diagnosis, and discuss all treatment options with you. Oral cancer claims the life of one patient every hour, and tens of thousands of new cases are diagnosed every year. In our offices, we take this threat to our patients’ well-being very seriously. It’s our goal to help you identify cancerous or pre-cancerous cells as early as possible to improve your chances of recovery. During a routine oral cancer screening, Dr. Mitchell will examine your oral tissue, your neck, your jaw, and other areas to determine your overall risk. If we find cause for concern, a biopsy may be necessary to confirm the results and determine whether further treatment is needed. In the past, X-rays were developed slowly in darkrooms with hazardous chemicals, viewed on a clunky light board, and stored in oversized filing cabinets. Thankfully, Dr. Mitchell has upgraded this tedious process significantly with state-of-the-art digital radiography. Now, there’s no waiting required on the patient’s part – the high-resolution images we capture of their unique smile are viewable on our computer system within seconds, and they can be magnified and color-coded to aid with both diagnosis and patient education. Even better, is that the level of radiation exposure is greatly reduced when compared to past methods – by 80-90%! This means you and your loved ones will be much safer in the treatment chair. Your entire family is welcome at both of our office locations! It’s never too early for quality dental care when it comes to your children, and our team loves laughing with young patients while helping them understand the importance of caring for their teeth. 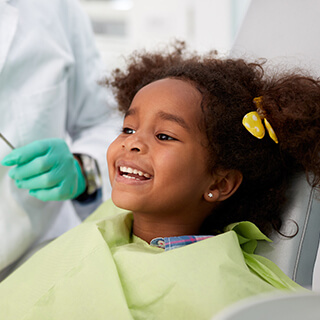 We’re happy to provide gentle checkups, brushing and flossing lessons, dental sealants, fluoride treatment, and other child-friendly services. Gum disease (also known as periodontal disease) is a very common health problem that initially seems relatively harmless – maybe your gums bleed a little when you brush or floss, or maybe your oral tissue seems somewhat redder than normal. However, untreated cases can quickly lead to dangerous, damaging consequences to your oral health and confident smile. Our dental team will carefully assess the gum tissue for signs of infection so that we can identify it in its earliest stages, protecting patients from more serious threats. 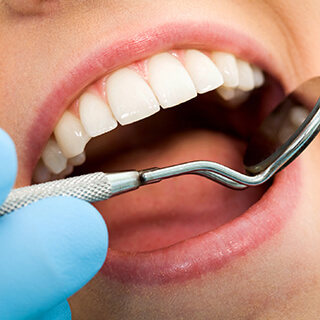 Scaling and root planing (an in-depth cleaning that targets bacteria beneath the gum line and along the tooth root surfaces), may be recommended in order to effectively treat deep periodontal pockets and leave your smile feeling much healthier.